In just the last five months, L.A. Unified’s number of homeless students has climbed by more than a thousand. The district has identified 17,494 homeless students as of Tuesday — up from about 16,200 students reported in November and about 17,280 reported one month ago, according to data provided by school board member Kelly Gonez. The term homeless includes those living in shelters, motels, cars, doubled up with other families and those who are unsheltered. The hike in identifications is likely due to heightened community awareness about student homelessness, as well as L.A. Unified staff’s more “thoughtful” approach to broaching the topic with families, said Gonez, who represents the school board’s District 6 in the San Fernando Valley. Awareness is growing statewide as well, with the number of K-12 homeless students in California — more than 200,000— rising more than 20 percent in the past four years. In response, an array of state and local initiatives have ramped up to provide support. The L.A. Unified school board last month unanimously backed two bills — introduced by Rivas in December and passing through state House committees now — that would add a state-level representative for homeless students and hire more homeless coordinators, who guide local districts on how to best serve children lacking permanent housing. Another bill to procure more state funding for these students is reportedly coming down the pike as well. At the district level, the board is awaiting a report from Superintendent Austin Beutner in the coming weeks on whether it’s feasible to use L.A. Unified property, such as gymnasiums, to house homeless students and families — a proposition that has drawn both support and criticism from the community. District officials are also continuing to cultivate city and county partnerships to find solutions that both prevent homelessness and expand available resources, Gonez said. A four-part L.A. Times series last fall underscored the urgency of addressing homelessness by spotlighting the plight of Telfair Elementary. The school, located in the northeast San Fernando Valley, reports one of the highest percentages of homeless students across L.A. Unified’s more than 1,000 schools. Rivas, who introduced the two bills last December, has a soft spot for Telfair — she was a student there herself in the 1980s, living in a converted garage. She said she doesn’t recall student homelessness being as prevalent as it is now. As of Tuesday, 20.6 percent of the elementary school’s 652 students were identified as homeless, according to data provided by Megan VandenBos, Gonez’s chief of staff. It was 24 percent in the 2017-18 school year, but declining enrollment has played a role in the dip since then. The bulk of Telfair’s homeless live “doubled up, tripled up, quadrupled up” in homes, Principal Jose Razo told LA School Report last fall. Many live in garages, paying a median price of $1,500 a month — sometimes without bathrooms or running water. They regularly struggle with trauma, sleep deprivation and a stress-inducing lack of stability, Razo said. Those burdens often hinder students’ academic performance, too, with research showing that homeless students are twice as likely to score lower on standardized tests than their peers. Last year, the percentage of Telfair students meeting math standards was about half the district average: nearly 17 percent versus 32 percent. The school also trailed in English language arts, with nearly 28 percent of students meeting standards, compared to 42 percent districtwide. ● Assembly Bill 58: Would add someone from the California Department of Education to the state’s Homeless Coordinating and Financing Council. The council needs “an [education] voice at the table when discussing youth homelessness, because most children are identified as homeless by schools,” Rivas said. ● Assembly Bill 16: Would increase the number of state homeless coordinators and add assistance centers. The bill would add three state-level homeless coordinators to the two existing ones. Homeless coordinators “support school districts with resources and training to help them serve homeless children,” Rivas said — an “impossible task” currently in a state that has about 1,400 local education agencies. The bill would also allocate $500,000 to three county offices of education in different regions of the state to establish three technical assistance centers. These centers would “bring the resources closer [to local districts] instead of it all being in Sacramento,” Rivas said. AB 58 is expected to pass out of the state House to the state Senate by next Monday, Matthew Montgomery, Rivas’ chief of staff, wrote in an email Tuesday. AB 16 is moving a bit slower, and is “set for a hearing to discuss its fiscal costs in Appropriations [committee] in the next couple of weeks,” he added. Los Angeles police officers in February fitted the youngsters with new backpacks. A bike shop in January donated 20 colorful bikes. Local high schoolers — posing as elves — surprised Telfair students with presents at Christmastime. One instagram video shows the kids eagerly ripping apart wrapping paper, squealing over their new board games, dolls, stickers and other toys. Telfair and a few other schools also participated in a one-week camp over winter break, which focused on literacy and STEAM learning for those not yet proficient in English. Students learned about Ancient Egypt and visited a King Tut exhibit at the California Science Center and performed mock excavations in a sandbox, among other activities. “Nothing is planned” at Telfair for spring break next week, however, a district spokeswoman wrote in an email on Wednesday. To address homelessness on a broader scale, L.A. Unified officials are exploring new ways to partner with local governmental agencies and non-profit organizations — the mayor’s office, city council offices, the Los Angeles Homeless Services Authority, L.A. Family Housing and People Assisting the Homeless (PATH), to name a few — to “determine what [homeless student] needs aren’t being met … and how L.A. Unified can fill those gaps,” Gonez said. She, Razo and Beutner had sent a letter to city and county officials in November asking for their help. In just the past few months, the district has added a second homeless liaison to PATH’s Family Solutions Center, Elizabeth Heger, director of Family Services, told LA School Report. When a homeless family comes in for an assessment and “has any school-age children, whether or not they’re enrolled in school, we will automatically, literally, walk them into [the homeless liaisons’] office and introduce them,” Heger said. The two liaisons visit the center twice a week, she noted. There are seven other similar centers in L.A. County that also partner with one to two district homeless liaisons. Heger said PATH’s specific center serves about 900 kids — 65 percent to 70 percent of whom are school-age children — on a yearly basis. The partnership “is really great, because at the Family Solutions Center we’re able to provide [the children] with transportation cards or food cards, things of that nature. But then LAUSD, in partnership with us, will help us get those kids connected to any school services they might need,” such as extra clothing, backpacks and schools supplies, Heger said. Besides the resources the district currently offers homeless students, local officials are also considering installing a washer and dryer on every campus so students and their families can have clean clothes, Gonez said. Another ongoing discussion has been how to tackle rent increases and evictions for families who “are living in unstable housing situations” and are at risk of homelessness, she said. PATH is already working with Inner City Law Center to protect families from evictions, Heger said. And the mayor’s office for City Homelessness Initiatives is organizing assessment days and resource fairs to help connect families with long-term housing options, Andrea Garcia, a spokeswoman for Mayor Eric Garcetti, wrote in an email. This heightened awareness about homelessness, as well as district staff’s more “thoughtful” approach to broaching the topic with families, has likely spurred the recent spike in identifications districtwide since November, Gonez said. Notably, “there’s been a greater understanding of the fact that the Residency Questionnaire and the language that it uses — how that could be alarming to immigrant families,” she said. Latino students make up more than 77 percent of district schools, according to the state dashboard. The Student Residency Questionnaire is given to every family at the beginning of the school year and whenever new students enroll. It translates in Spanish to “Cuestionario Sobre La Residencia Estudiantil,” which some Spanish-speaking parents might misinterpret as an inquiry about their children’s and their own residency status. Parents are not required to fill out the form. The title of the questionnaire is the same as it was late last year, though the district told LA School Report in November it was looking into changing it. ● Research the “feasibility” of using district sites to allow overnight parking for homeless students and families, provide overnight shelter and meals “at minimum” during winter and summer recesses, and build or convert buildings to create temporary or permanent housing. ● Review the 12-year-old Homeless Education Program and examine the possibility of adding more counselors. Gonez said in November there are fewer than 100 counselors in that program. ● Look into bolstering professional development opportunities for schools’ “homeless liaisons.” Homeless liaisons are often staff members such as teachers who volunteer to take on the added role. If the 180-day deadline holds, Beutner will give a report to the board with his findings next month. The district declined to comment beforehand and wouldn’t confirm the timing. The district housing piece of the resolution has drawn both support and ire from the public. Some community members fear that having homeless people in their area could lower home values, ruin neighborhood aesthetic and raise crime rates. “We might want to start with community conversations in those areas before we make that stuff public,” Gonez said. Another way to better serve homeless students, Gonez noted, is getting them more funding. 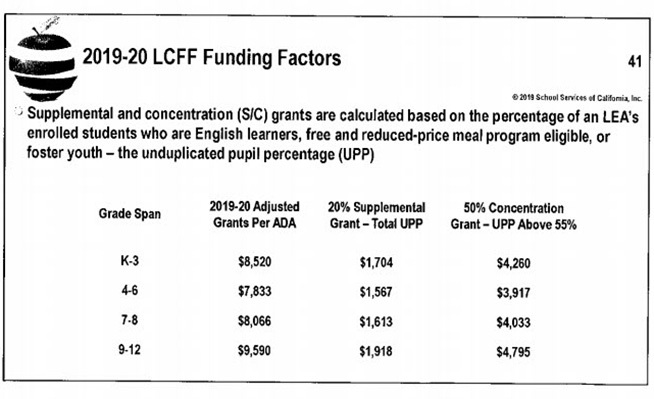 While the Local Control Funding Formula — California’s school funding law — already gives the district 20 percent more in per-pupil funding for each low-income, foster and English language learner student, it doesn’t grant more if a student falls under multiple categories. For example, a district third grader who is considered low-income will get $1,704 on top of $8,520 in base funding. But that funding level remains the same even if that student is also homeless. That’s problematic when considering the barriers homeless students have to overcome to learn, Gonez said. “You’re getting the same amount of supplemental funds, even though we know that being homeless creates trauma and means far and above just being low-income,” she said. L.A. Unified’s Office of Government Relations has been working with Assemblywoman Wendy Carrillo on a bill that “would both add homelessness as part of the LCFF supplemental grants and allow for a duplicated count for foster youth and homeless students,” VandenBos, Gonez’s chief of staff, wrote in an email. The bill’s language is still being developed, but is expected to be introduced this legislative session, which runs through 2020, VandenBos wrote.